nostalgic film based presets that put mood, dimension and depth into every image. 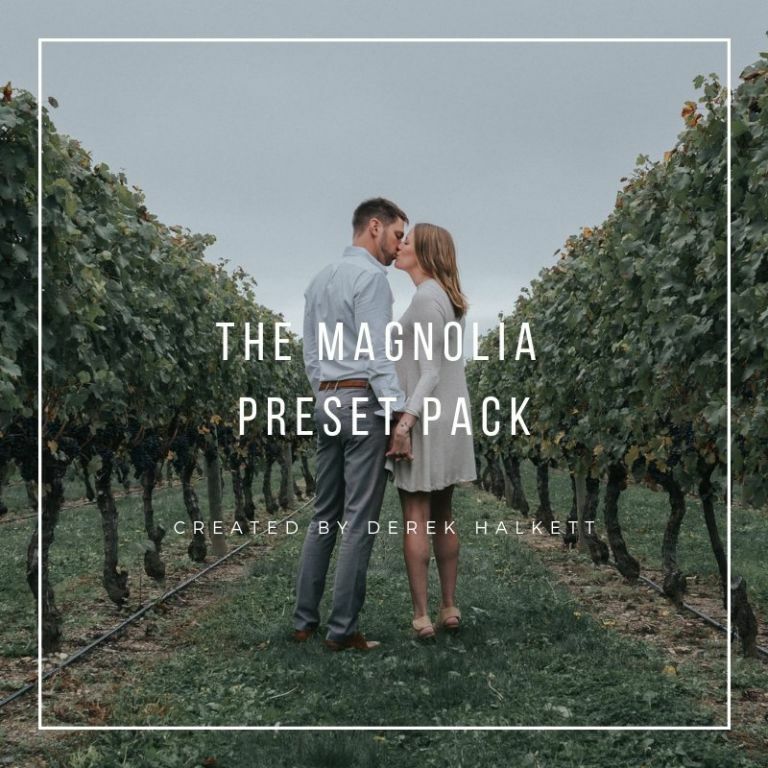 The Magnolia Presets Pack was conceived by wedding and portrait Photographer, Derek Halkett. Derek Halkett Photography is a Knoxville, Tennessee based photographer who works throughout the Southeast, New England and other destination locations. Derek has photographed over 350 weddings, many of which have been featured in respected wedding publications. Tired of boring editing styles, Derek formulated a set of nostalgic film based presets that put mood, dimension and depth into every image. These presets are a solid base for any photographer and are versatile for almost any application. The presets can be tweaked to your liking and color balance adjusted to get the exact look you are going for to match your style and brand of photography. This Lightroom Preset Pack consists of seven (7) color presets and one (1) black and white preset. The presets work perfectly with a slightly underexposed image prior to applying the preset (typically 1/3 to 1/2 of a stop under normal exposure). This set consists of eight nostalgic authentic film based presets that put mood, dimension and depth into every image. These presets are a solid base for any photographer and are versatile for almost any application. **By purchasing this product you acknowledge that it is only compatible with Lightroom 4, 5, 6, CC and NOT Photoshop or lower version of Lightroom . These Lightroom Presets are designed to be tweaked and customized (if you so desire), or simply left as they are, in the original form. PLEASE NOTE that all photo effects work differently with each photo (based on the colors, tones, lighting, etc., of the original photo). This is very important when you consider buying one of these presets. * Resell, repackage and/or resell my Lightroom Presets. * Share or distribute original files in any way.